I had such a great time making Issue #7 of MiddSouth Innovates! I love getting the chance to sit down with passionate educators to talk about learning activities in their classroom. These world-class educators were so excited to talk about their students and their classrooms. In our tech-related classroom highlight, I talked with a Journalism I class about LucidPress and how it helped them publish their class newspaper. In our non-tech related activity, I talk with an Art teacher about how she is using Perspective art with an Autistic class. Included at the bottom is a feedback form. If you are reading my MiddSouth Innovates, I would greatly appreciate you filling out the form so I can improve. Enjoy! This entry was posted in MiddSouth Innovates, Uncategorized and tagged #middsouthnation, innovation, middsouthinnovates, technology on January 29, 2018 by DaretoChem. Another Monday, another issue of MiddSouth Innovates. 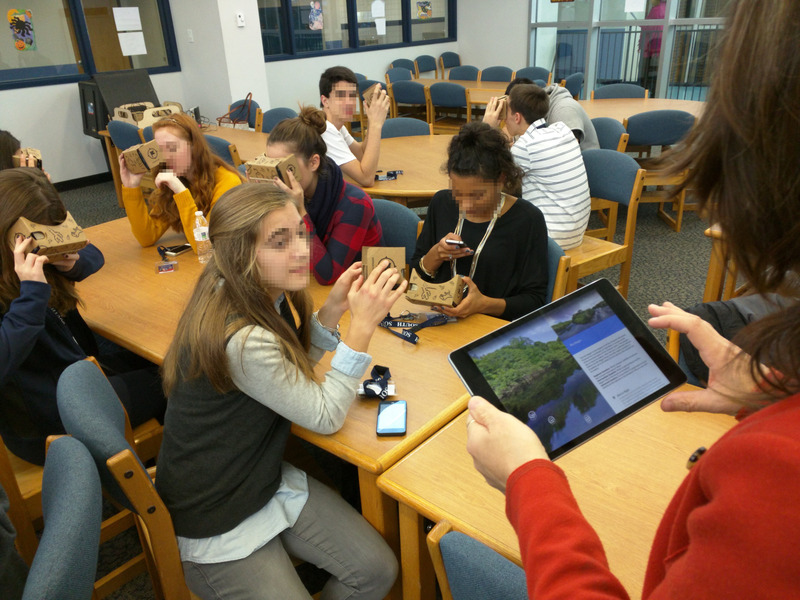 In this issue, we look at some of the classes that are using Google Expeditions to take students around the world to look at both the past and the present. We discuss storytelling and how it relates to giving good presentations. And we highlight some of the amazing work that’s being done in the Media Center. My favorite part about writing each issue is getting to work with amazing educators and students, and helping them find awesome technology to enhance learning. I hope you enjoy all of the work the #middsouthnation is doing. 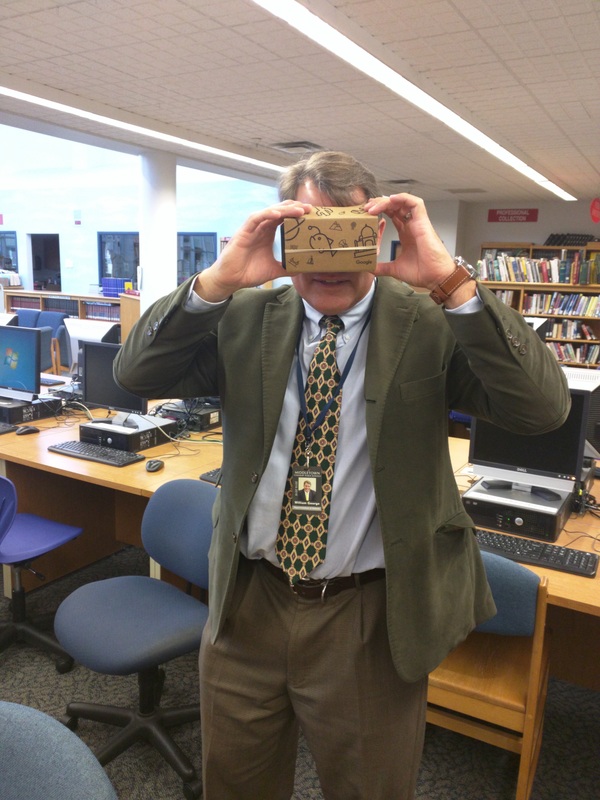 This entry was posted in MiddSouth Innovates, Uncategorized and tagged #GoogleExpeditions, #middsouthnation, innovation, middsouthinnovates, technology on January 15, 2018 by DaretoChem. I apologize about forgetting to post our end of the year MiddSouth Innovates. One of the best parts about my new role as Educational Technology Specialist is going into classrooms all over the school and seeing how technology is being used. In this issue, I had a chance to join one of our math teachers in an Algebra I lesson using Desmos. In the last 2 years, Desmos has moved from simply being an online graphing calculator to a full activity hub for math teachers. As you will see below, this math teacher runs the entire lesson from Desmos using direct instruction, individualized feedback, and both individual and group responses. I was really impressed with both the lesson and tech application. This entry was posted in MiddSouth Innovates, Uncategorized and tagged #middsouthnation, innovation, middsouth, middsouthinnovates, technology on January 1, 2018 by DaretoChem. National Computer Science Week is upon us (December 4-10) which means it is time for the Hour Of Code!! I absolutely love the activities they have developed to get students solving complex problems. That’s right! Coding isn’t about typing words on a page. It is about figuring out how to put together a puzzle when you don’t know what the puzzle looks like. For the past couple of weeks, my students have been tackling simple and complex coding HW in an attempt to expose them to both Scratch and Python. First, they had to animate their name using Scratch. Now they are drawing snowflakes with Raspberry Pi Foundation. I created the following Smore to remind my staff about the Hour Of Code. We are going to setup stations in our Media Center for students to participate, and have Certificates and 3D Printed badges for anyone who completes the full hour. Enjoy the Smore and check out #middsouthinnovates for pictures from our activities. 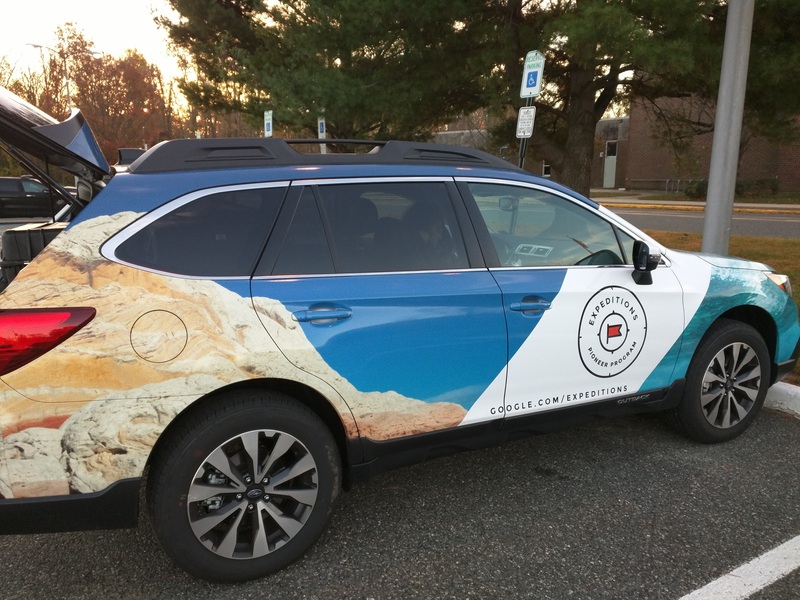 This entry was posted in MiddSouth Innovates, Uncategorized and tagged #hourofcode, #middsouthnation, innovation, middsouthinnovates, technology on December 4, 2017 by DaretoChem. 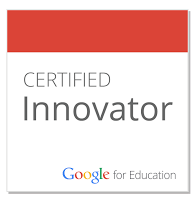 My school had the unbelievable good fortune to get selected for the Google Expeditions Pioneer Program and it was AMAZING! Here is how our day went. First, it can never be a bad day when you go out to the parking lot and there is a Google car waiting for you. Natasha was our Google Expeditions Coordinator for the day and she was fantastic. Energetic and quick on her feet; she was able to solve any problem we had throughout the day. She brought with her 3 sets of 30 Google Cardboard along with Asus phones, and a teacher tablet pre-loaded with all of the Expeditions. I arranged for classes to rotate throughout the day into each of the classes in 30 minute sections. While all of the teachers picked their Expedition in advance, they were free to change as the need arose because all of the locations were pre-loaded and we didn’t need an wifi connection. These 6 boys are all in the same location, but looking at totally different things based on what interests them the most. The students took to Cardboard very, very fast, as was to be expected. Of course, our Principal and Superintendent needed to get in on the action, too. I think the best part of Expeditions is the material that’s pre-loaded for each location. As you can see in the following photo, if the teacher was unsure of what she was looking at, she could swipe to the left and all the information was right in front of her. Included was an overall description of the location and some guiding questions for the teacher to ask the class. The teacher could tap on the photos and arrow would appear on the screen of the students’ devices to direct their attention to something specific. Smiley faces were on the screen of the teacher’s tablet showing where each student was currently looking so she could tell who was engaged in the lesson. The students loved going into the rainforests and any Expedition that brought them underwater, especially swimming with the sharks. Some of my personal favorites were seeing Jane Goodall’s home in Gombe, following the Museum Photographer from the Museum of Natural History, and standing on top of a building in Rome. 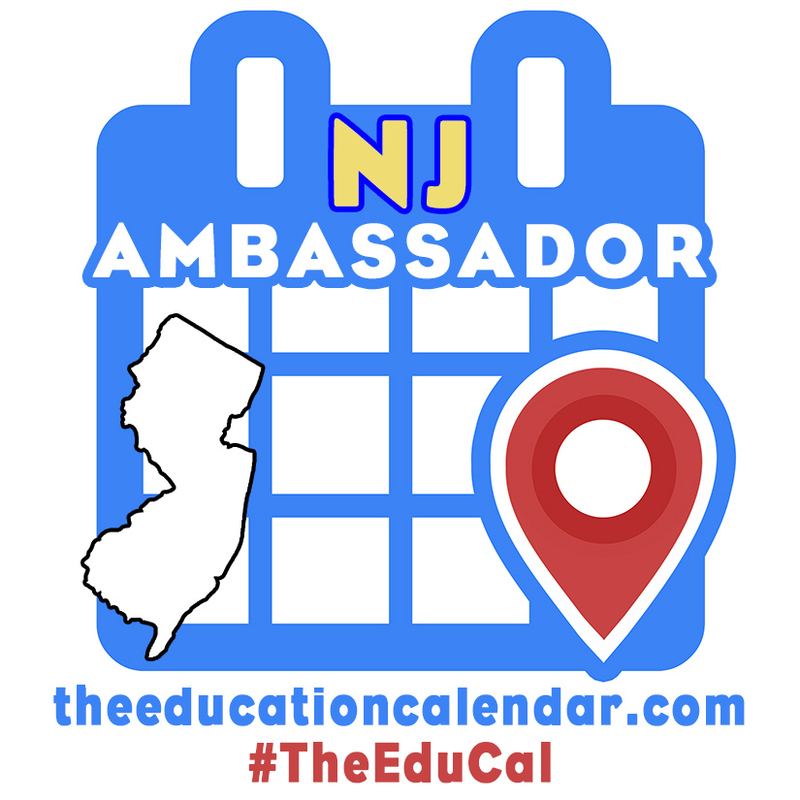 I think the best comment of the day was from a senior who said, “We’re in the freakin’ Colosseum but we’re really in a library in NJ!” I think that was the best part of this experience: showing the kids parts of the world that they have never or may never experience. We spent more of the day just having fun than actually linking it back to the curriculum, but I think that’s ok since we gave them an experience they will never forget. So, where do we go from here? Actually, anywhere our imagination can take us. My Principal and I were talking and just in a couple of minutes we said: have teachers record vacations or locations from around the world and develop lessons with them, video ours of our school, walking tours of colleges, and a Google Street View walkthrough of our Art Show. Once the video and sound capabilities are included, Google Expeditions will become an amazing learning opportunity for students all over the world. 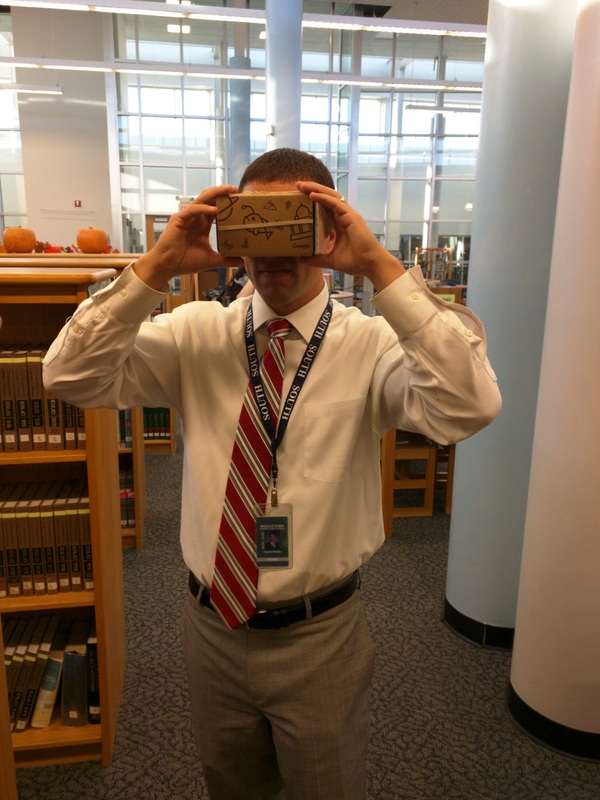 This entry was posted in awesome, Google, student centered and tagged #awesome, #GoogleExpeditions, #middsouthnation on November 12, 2015 by DaretoChem.